Five ranked fighters will see action this weekend. The biggest and most anticipated match will be for the Strikeforce 135 pound title, as #1 ranked Sarah Kaufman (10-0) will face number #2 ranked Takayo Hashi (12-1) at the Strikeforce Challengers event in San Jose, CA and live on Showtime. This will be a classic grappler versus striker battle, with Kaufman’s 8 KO’s versus Hashi’s five submissions. The fight will look to go the distance, as both Kaufman and Hashi have never gone to the championship rounds in their careers. Kaufman has been to the cards in her last two meetings with experienced grapplers – #10 ranked Miesha Tate and #4 ranked Shayna Baszler – while Hashi has gone to the cards most of her career. Kaufman is favored (-700) to defeat Hashi (+460). There has been a growing concern about challengers for the 145 pound division, but the past few weeks saw a huge turn around for possible contenders for Cyborg Santos’s title. As reported last week, #5 ranked Kelly Kobold will be returning to the cage in Minneapolis, MN for the Brutaal MMA card this Friday. We haven’t seen Kobold since her loss to #4 ranked Gina Carano in October 2008. She is a strong favorite against Jessica Kinnetz (1-2). Another returning 145 pound, #9 ranked Revelina “Nana” Berto is still undefeated and looking for her fourth win when she faces 0-2 Yvonne Reis at the RFC 20: Stacked card in Tampa, FL. Berto hasn’t seen action since a year ago and is looking to remain in the rankings. There is a possibility that #2 ranked Erin Toughill will be on the upcoming April CBS card according to sources close to Fightergirls. The CBS card will most likely feature Fedor Emelianenko facing heavyweight champion Alistair Overeem in the main event. 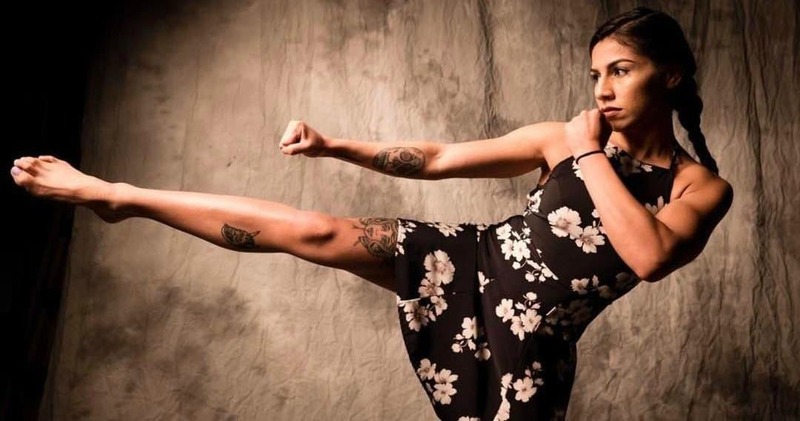 Toughill admitted in a recent interview that Strikeforce may give her a warm up fight before getting a shot at Cyborg Santos’s belt to introduce her to the audience. No opponent has been announced or that the match will be on the main card. #7 ranked 145 pounder Cindy Dandois says there is a possibility of her fighting on the M-1 Global card in the Netherlands on March 27. Dandois won her last fight decisively and looks to continue her undefeated streak. In the other ranked bout for this weekend, #2 ranked 125 pounder Carina Damm will face Aline Sergio at Jungle Fight 16 in Brazil. Damm is looking for her 10th win in a row, with Sergio looking to go 2-0. Next week we will have the aftermath of Kaufman-Hashi and see what is in store for March.